Copyright �2015 Arlene R. Weiss/PopEntertainment.com. All rights reserved. Posted: October 28, 2015. French actor Jean Reno is best known for his iconic role of Leone "Leon" Montana in Director Luc Besson's hit cult classic film, 1994's Leon: The Professional. Reno's electrifying and dynamic portrayal of the heroic Little Italy, New York hit man with a heart transformed Reno into an icon among film critics, fans, and many esteemed directors and filmmakers. In the action-thriller film, Leon takes in and protects Mathilda, (played by a very young Natalie Portman), a twelve-year-old girl orphaned when her family is murdered by a corrupt DEA Agent. For his role as Leon, Reno was nominated for a Cesar Award for Best Actor, France's most prestigious award for an actor in film achievement (the French equivalent of an Oscar). 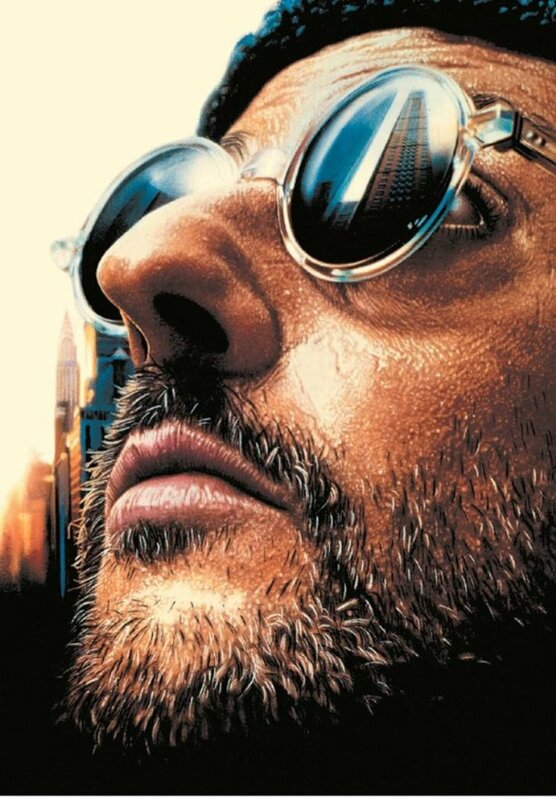 At the time, Jean Reno was already a major star in France and Europe, having crafted an extensive and stellar acting career on stage and screen. Leon: The Professional brought its talented star international acclaim, which caught the attention of U.S. and international audiences � and filmmakers who wanted to see more. Hollywood came calling the very next year in 1995, with Reno's American major film debut in the romantic comedy French Kiss, starring with Kevin Kline and Meg Ryan. In 1996 Reno landed the major role of IMF Agent Franz Krieger, starring opposite Tom Cruise in Director Brian De Palma's blockbuster hit, Mission Impossible. From there, Reno's career took off as an international star. Reno is a multi-faceted, classically-trained theater actor of immense emotional depth and range. His esteemed canon includes a diversity of roles and genres, encompassing drama, comedy, historical and war-based, animated films, crime and action thrillers on stage, screen, and TV. 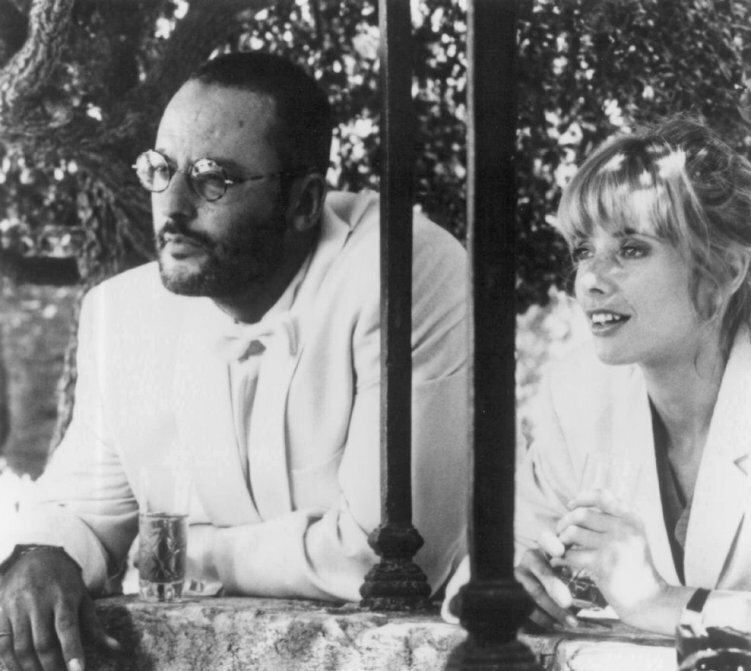 Jean Reno grew up and was raised by Spanish parents in Casablanca, Morocco. Reno studied drama and performed in a diverse range of theatrical productions at the National Drama School of Casablanca. At nineteen years old, the young Reno decided to move to France and pursue an acting career there. First, Reno studied at the Cours Simon Drama School in Paris. Then, through the late 1970's and early 1980's Reno continued honing his craft. He began his career acting in a series of small roles in French films, stage productions, and TV shows. From 1977 to 1981, Reno also toured Europe in all of the theater productions of esteemed French theater director Didier Flamand's Theater Company. In 1981, Reno's future as an actor was charted on a course for much better things. It was then that Reno met and struck up what would become a lifelong, and wonderfully creative professional collaboration with young French film director Luc Besson. Besson was also just embarking on his career as a writer, producer, and director. In 1981, Besson directed the film short, "L'avant Dernier" and cast Reno. Then in 1983, Besson directed the post-apocalyptic film Le Dernier Combat (The Last Battle), again casting Reno in a starring role. In 1985, Luc cast Jean again as a charismatic character known as The Drummer in the charmingly eccentric, quirky pop-culture confection Subway. In 1988, Besson directed his first major English language film, the critically acclaimed, introspective and meaningful Le Grand Bleu (The Big Blue) and cast Reno in one of the starring roles. The film portrayed a fictionalized account of the friendship and rivalry of real life champion free divers Jacques Mayol and Enzo Maiorca (changed to Enzo Molinari in the film). Reno's sparkling and exuberant portrayal of Enzo Molinari was tremendous, a larger-than-life Italian athlete with a gusto and love for food, family, and life. The film received numerous accolades including screening at that year's Cannes Film Festival. The movie officially made Reno a star. 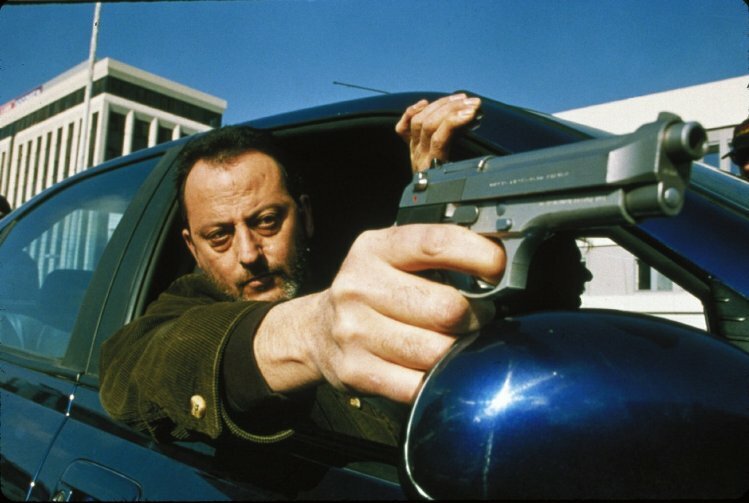 But Luc Besson had even more in store for Jean Reno, who continued to be Besson's incredibly talented creative muse. In 1990, Besson wrote and directed the hit action thriller, La Femme Nikita, in which Reno's immense portrayal of Victor the Cleaner nearly stole the movie. Besson was so fond of Reno's portrayal as the vicious hit man Victor, that Besson was inspired to expand the role. Only this time the hit man would evolve into a more sensitive and humane character. Besson wrote an entire movie around this "cleaner," as a starring vehicle for Reno. Besson invited Reno to his home in Paris for dinner where he presented the script wrapped up as a gift to Jean. That script was for 1994's Leon: The Professional, the film and role that would at last garner Reno the international recognition and acclaim he deserved as an actor of immeasurable artistry. Reno has since portrayed some of his most indelible, acclaimed, and creatively challenging and fulfilling roles. After French Kiss and Mission Impossible, in 1998 Reno starred as heroic French Secret Service Agent Philippe Roache in Director Roland Emmerich's blockbuster, Godzilla. In 1998, Reno starred in one of his greatest and most memorable roles in Ronin, directed by the esteemed John Frankenheimer. Reno enigmatically portrayed the French mercenary Vincent, embarking on a dangerous and ambiguous mission. Reno joined an all-star cast, starring opposite Robert De Niro, Stellan Skarsgard, Sean Bean, and Jonathan Pryce. In 2000, Jean starred in one of his most challenging roles as Detective Pierre Niemans in the psychological, horror crime thriller The Crimson Rivers. For his role as Detective Niemans, Reno was nominated for a European Film Award: Jameson People's Choice Award � Best European Actor. Reno reprised his role for the film's equally riveting 2004 sequel, Crimson Rivers II: Angels Of The Apocalypse. Reno possesses an immense and wonderful flair for comedy and has starred in many of Hollywood's and France's most successful comedies. He also has the distinction of starring in France's all-time top grossing film ever, 1993's time travel comedy Les Visiteurs (The Visitors). He also starred in the film's 1998 hit sequel Les Visiteurs II: Les Couloirs Du Temps (The Visitors II: The Corridors Of Time). Les Visiteurs was so successful that an American, English language remake was made in 2001, Just Visiting. The hilarious and enchanting Just Visiting starred Reno as well as his Les Visiteurs creator, writer, and cast mate Christian Clavier. Malcolm McDowell and Christina Applegate also joined in on the fun adventures through time with Reno. In 2001, Reno starred as Detective Hubert Fiorentini in the fan favorite action comedy cult film, Wasabi, which was written especially for Jean by Luc Besson. Reno also portrayed gendarme Gilbert Ponton with Steve Martin in the 2004 mystery comedy The Pink Panther and its 2009 sequel The Pink Panther 2. In 2012, Reno served up a deliciously charming and witty souffl� as a top rated chef struggling to keep his three star rating against a scheming CEO in Le Chef. Jean has portrayed a treasure of roles which showcase his nuanced artistry and deft ability to immerse himself in subtle characterization, exuding immense emotional complexity and depth. In 2006 Reno inhabited one of his most unforgettable roles in the historical war film Flyboys. Reno beautifully portrayed real-life Lieutenant Colonel Georges Thenault, the heroic mentor and commander of the courageous Lafayette Escadrille. The Lafayette Escadrille was the brave, all-volunteer squadron of American flying fighter pilots who helped France in their fight against the Germans during WWI. That same year, Reno performed in one of his favorite films � director Ron Howard's riveting blockbuster film adaptation of The Da Vinci Code � as determined Police Inspector Captain Bezu Fache. In 2010, Jean sublimely portrayed the brave, emotionally torn, and compassionate Dr. David Sheinbaum in the haunting war drama, La Rafle (The Roundup). The film depicts the true story of the mass arrest of Jews in Paris and their deportation to the Nazi concentration camps that was conducted by the French police during WWII. More recently in 2013, Reno starred in his very first English language TV series portraying the emotionally complex and heroic Detective Jo St.-Clair in the weekly crime solving thriller, Jo. Jo, which is filmed entirely on location in Paris, was created and written by Law and Order's Rene Balcer. Its stellar writing showcases Reno's superb acting which elevates the series. Each episode focuses on a different murder mystery solved by brilliant sleuth St.-Clair. But the series also delves into St.-Clair's emotional struggles to reconnect with his estranged daughter while conquering his own personal demons and grappling with a tenuous friendship with a former childhood friend who is now a crime boss. Jean is especially proud of his voice acting work, imbuing his rich and expressive vocal characterizations into several major animated films. He performed the voice of Mufasa in the French-language version of Disney's The Lion King in 1994, lending emotional depth and rich gravitas to the royal lion patriarch. 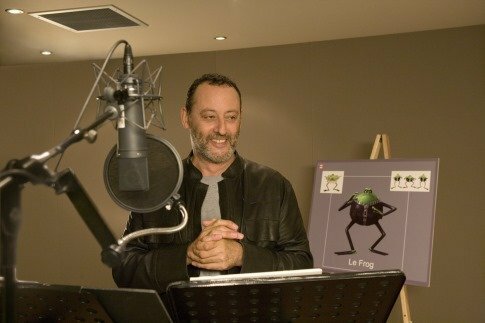 In 2006 he performed the charming role of Le Frog in the animated adventure comedy, Flushed Away, performing with an all-star cast that included Hugh Jackman, Ian McKellen, and Kate Winslet. Reno, who still very much enjoys performing live theater, is especially proud of his theatrical work and often returns to the stage. Reno did just that this past March 2015, when he and longtime friend and creative collaborator Richard Berry, who directed Jean in the 2010 crime and action film, 22 Bullets, performed together to sell-out crowds in the comedy Nos Femmes at the Theatre de Paris. 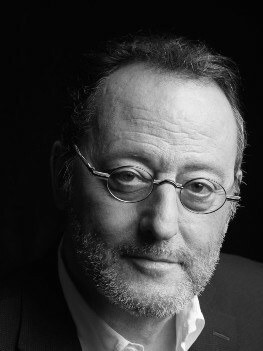 When Jean Reno isn't busy acting � which isn't often since his eminent thespian skills are also constantly in demand for numerous commercials including Bentley Motor Cars, UPS, Toyota, and a Japanese Brand soy sauce � he's a successful entrepreneur and businessman with his finger on the pulse of pop culture. He has his own line of designer eyewear eyeglasses and two perfumes for women. Reno is also a devoted foodie and connoisseur of fine dining and cuisine. He has his own line of olive oil produced from his farm in Provence, France. 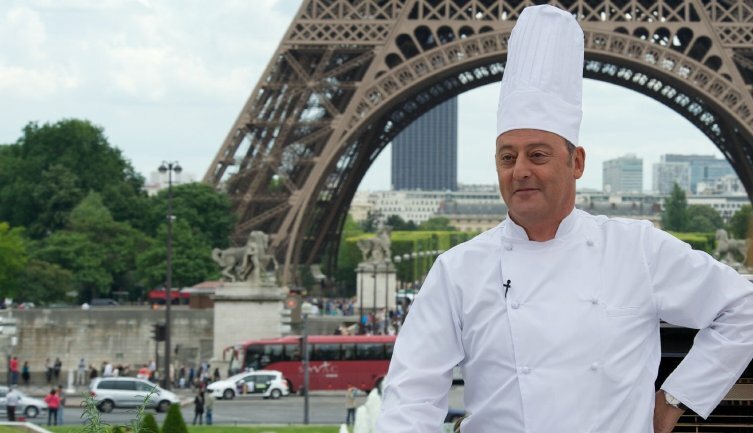 Reserve Jean Reno Olive Oils are available through D'Artagnan Gourmet Foods here in the USA. Jean is also the President of The Les Amis de Moulin Cornille Olive Farming Cooperative in Provence. Currently, Jean Reno is busy at work, shooting three new films, all planned for release in 2016, which he graciously took time to discuss with me. However, Reno is most at home when he is talking about his favorite topics of pop culture, travel, and food. On a beautiful autumn day, right before the October 27th, 2015 release of Leon: The Professional on Sony Pictures' Blu-Ray, 4K Restoration Supreme Cinema Series, Jean Reno graciously spoke with me about a delightful hodgepodge of topics including his new films and where to get the best paella. First, Reno and Christian Clavier are teaming up again to film Les Visiteurs 3: La Terreur, the second sequel to 1993's time travel comedy Les Visiteurs. The film premieres April 2016. Reno is also just wrapping up production on The Last Face, directed by Sean Penn. The film depicts the emotional and moral conflicts of doctors working in Africa's Sierra Leone during political conflict. Reno stars alongside Charlize Theron and Javier Bardem. Reno has also just been cast in the history-based drama The Promise, starring with Christian Bale and Oscar Isaac. Reno plays an emotionally-conflicted French Admiral caught up in the last days of The Ottoman Empire. The Promise is just beginning filming in Spain. Hi Jean. I want to congratulate you on the many new film projects you are working on for 2015 and 2016. You have Brothers Of The Wind coming out this Christmas 2015. You also have the 2nd sequel to 1993's time travel comedy Les Visiteurs, Les Visiteurs 3: La Terreur coming out April 2016. What heroic and comedic adventures through time will your character � Comte Godefroy de Montmirail � be sorting out this time around? Arlene, this time Les Visiteurs 3 will be traveling during the time of the French Revolution called "The Terror." This is a very dangerous time for the aristocracy and the Comte Godefroy de Montmirail. The comedy is full of danger. You're also in the The Last Face with Sean Penn directing. What can you tell people about your character and the film's storyline? What was your creative experience working with Sean Penn? The Last Face is a movie about Medecins du Monde trying to save people in Sierra Leone, in the middle of tribal wars. Sean Penn is a very talented and sensitive director. It was such a great pleasure to work with him, and be part of the cast as well, with Charlize Theron, Javier Bardem, and Jared Harris. It's just been announced that you have a pivotal role in the anticipated The Promise co-starring with Christian Bale and Oscar Isaac, directed by Terry George, who you worked with in 2004's Hotel Rwanda. You have a very profound and compelling role, playing a deeply conflicted French Admiral who faces life threatening danger in the last days of the Ottoman Empire. What is it about this film that creatively speaks to you and what drew you to the story and your character? I am a friend of the Armenian community of which I am very close. I played an Armenian in Le Premier Cercle. When Terry George asked me to be part of The Promise, I accepted it. I have a very small role in it. You're also shooting The Promise in Spain and Portugal. What restaurants do you plan on enjoying? Where can you get the best paella, one of my favorite dishes by the way with lots of shrimp, sausage, and mussels? It has been a long time since I have been shooting in Spain. I will be shooting in Madrid soon and I will let you know if I find an exceptional restaurant. The real place to eat an authentic paella is in Valencia. Do you have any pets, cats or dogs, and if so, do you take them on vacation with you and your family? I have no pets because I am traveling all the time with my family and we don't want to leave the pets alone. When you're traveling or on holiday, what are your favorite beaches? We have a peaceful place in the South of France where we are traveling for the holiday. I do prefer boats rather than beaches. Do you still go free diving to see sharks, which you started doing after learning free diving for your role as Enzo Molinari in The Big Blue? I stopped free diving a long time ago. I love to spend time with my children and walk with them along the water. This past March 2015, you and your longtime friend and creative collaborator Richard Berry performed in the critically acclaimed stage production, Nos Femmes to standing ovations at The Theater de Paris. How artistically fulfilling and challenging was that experience, as well as doing theater again, and do you have plans to do more theater, including here in the States? I like doing live theater. It's so different than doing a movie. Performing theater is a different discipline. I enjoyed being in Paris during the play Nos Femmes. I am actually looking for a play in New York. I very much enjoy your beautiful piano playing in 1988's The Big Blue as well as your musicianship on the drums in 1985's Subway playing in the film's fictional band. You also rocked the house last year singing some scorching rock and blues onstage at New York's Beacon Theater with your friend Johnny Hallyday. Are there any other musical instruments that you play and what are your favorite styles of music? I like to play instruments. I think life without music will be sad and pitiful. I do play guitar, piano, and a little drums. I do not consider myself a musician. I like all kinds of music. My preferences go to the 70's. Among this I like to listen to all kinds of music, including jazz and classical. You also have done voice-acting work for several major animated films, including the charming Le Frog in 2006's Flushed Away. You also voiced Mufasa in the French Language version of Disney's The Lion King and you are just tremendous, adding such gravitas to the role. What are the creative challenges in creating and conveying your emotions and character development through voice acting? I like to do voice acting. I consider it as a real work. The fact of making your voice a vehicle to give an animated character some sensation and feelings is a very good exercise. The voice is a wonderful instrument for an actor! How did you get involved with olive farming and producing your own line of olive oil? I started to make my olive oil in the south of France. The olive tree is a noble and historical tree. For me I am fascinated by this tree. What are some of your favorite foods and restaurants here in the States? I have a lot of favorite restaurants in New York. All kinds of food, speciality, and style. I would love to see you cast in the new Star Wars trilogy as an esteemed Jedi Knight or hero. How would you feel about being offered a role in Star Wars if you got the call from George Lucas? If I got a call from Georges Lucas and was offered a role, I would open a bottle of champagne! You've creatively collaborated with Luc Besson on so many wonderful films which Luc directed, wrote, or produced. How did Luc first learn of your acting talents and begin working with you, and of your many films with Luc, why do you think that after two decades, Leon: The Professional is such an iconic role and film of yours that continues to resonate so emotionally and powerfully with people? I think it's very difficult to keep a high creativity all life long for a film director. You will have some peak as a creator and Leon: The Professional is one of them. In the USA it is a cult movie. I like very much that movie. Natalie Portman was fantastic in it! #1 �2015. Courtesy of Jean Reno. All rights reserved. #2 �1994. Courtesy of Sony/Columbia Pictures. All rights reserved. #3 �1998. Courtesy of Metro Goldwyn Mayer. All rights reserved. #4 �2006. Courtesy of Sony/Columbia Pictures. All rights reserved. #5 �2006. Courtesy of Paramount Pictures. All rights reserved. #6 �2012. Courtesy of Cohen Media Group. All rights reserved. 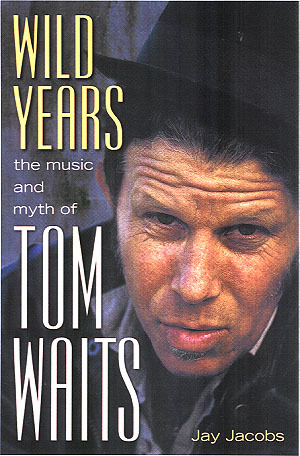 #7 �1988. Courtesy of Weintraub Entertainment. All rights reserved. #8 �1994. Courtesy of Sony/Columbia Pictures. All rights reserved.